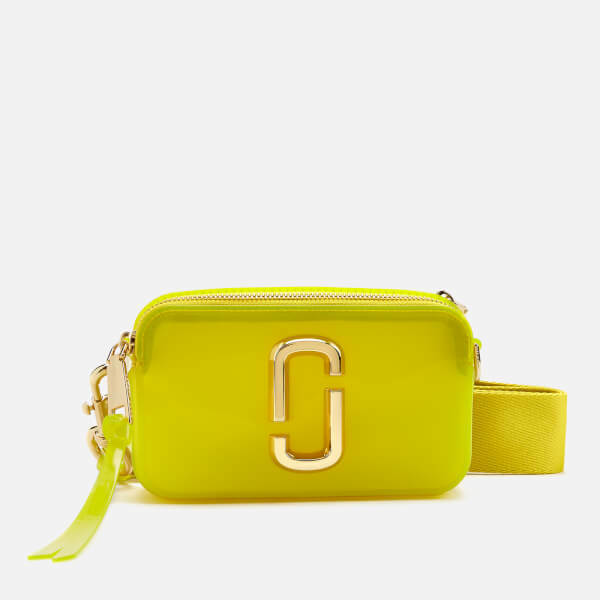 Marc Jacobs yellow jelly 'Snapshot' camera bag. Dual zip fastening. 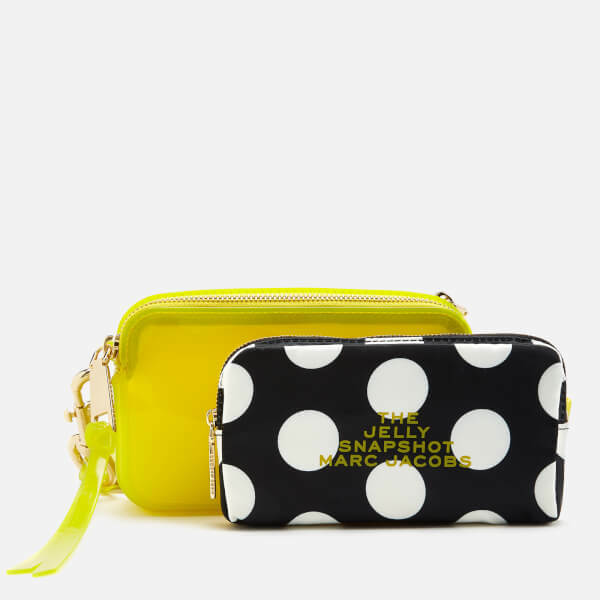 Removable polka dot pouch. 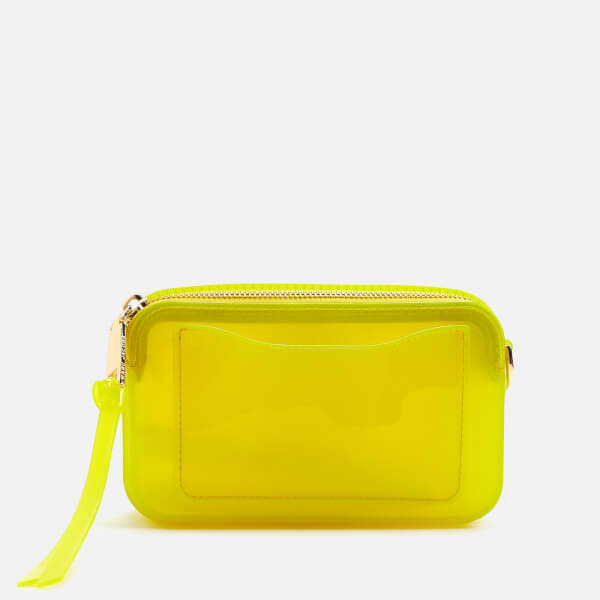 External back pocket. 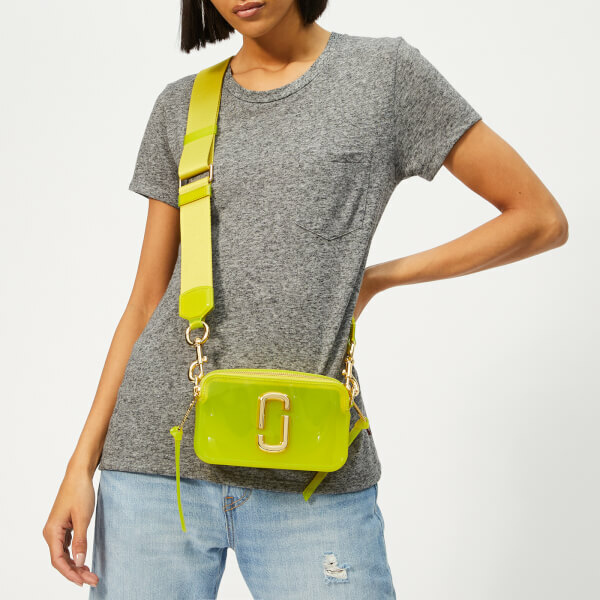 Adjustable, detachable woven shoulder strap. Signature gold-tone 'Doule J' hardware on the front. Gold-tone hardware. Branded dust bag. Dimensions: H: 11cm x W: 18cm x D: 6cm. Strap Drop: 42cm. Dimensions: H: 27cm x W: 26cm x D: 15cm. Handle Drop: 24cm. Strap Drop: 54cm.